As I hopped out of her car, ran across the busy street, and got up close to the garden to snap a few pictures, there were butterflies everywhere. We hadn’t initially seen them when we glanced at the garden from across the street but were delighted by their surprise presence as we got up close. There were tens of butterflies flitting from one bloom to another all over the garden. As I stood there speechless, amazed at the beauty of God’s creation, it reminded me of the often painful, yet beautiful process God takes us through as He changes us to make us more like Him. Butterflies don’t start out beautiful. 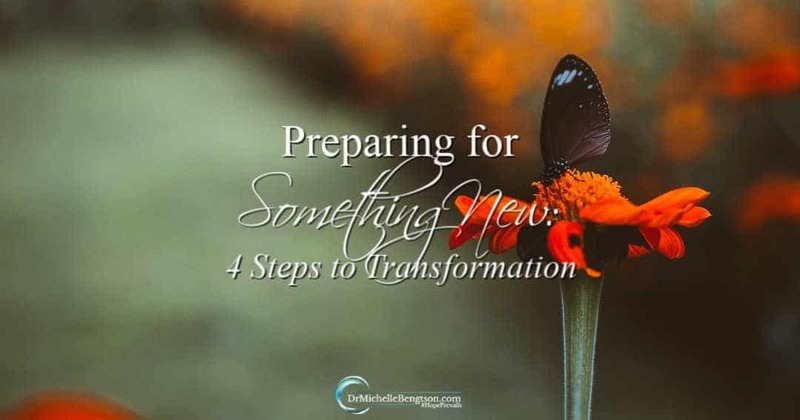 Have you ever looked at a caterpillar before it goes through the transformation process? They are not beautiful at all. In fact, they remind me a bit of an awkward acne-prone teenager trying to figure out where they fit in the pecking order of creation. In the process of transformation, the caterpillar has to surrender itself to a force much greater than itself. It must go through the pain of shedding its old self before a beautiful butterfly emerges, ready to spread its wings and fly. Have you ever felt like that? Unsure where you fit, what your purpose was, or if you’d ever live up to your calling? I’ve been there. For years I knew my purpose, knew my gifts and talents, and knew how I contributed to my community and the kingdom. Then the day came when God made it clear that the old was done and it was time to prepare for something new. Wait for God to work and will His way, transforming our hearts and lives into what He desires for the future. I found the waiting period painful. Let go and fly free! 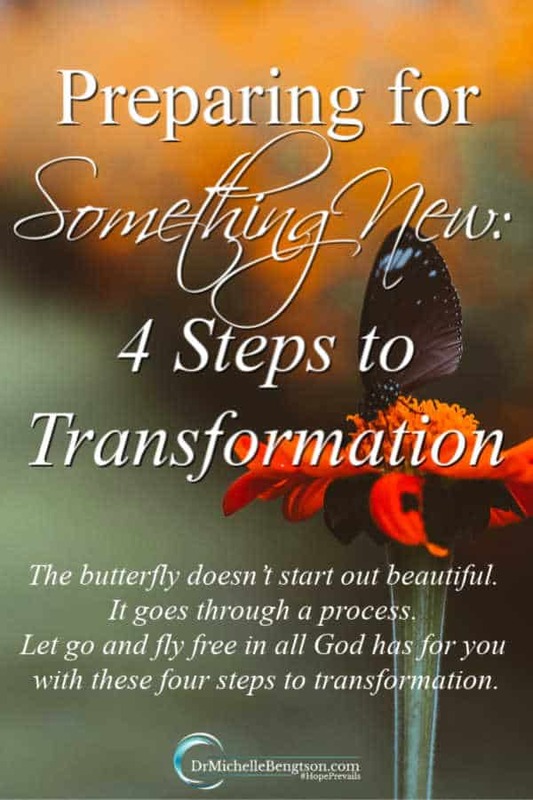 As the caterpillar transforms into a beautiful butterfly, it must let go of what it knew and surrender to God’s greater purpose as it lives up to its fullest potential, beautiful and free. I remember times when I held on so tight to what I knew, unwilling to let go of what was sure in exchange for faith in the promise of what could be. It only served to delay the joy that was promised. Will you let go of what is no longer serving you, and fly free in all God has for you? It might surprise and delight you, just as the butterfly-filled garden did for me. Oh Dr. Michelle, in this message you have shared the life we have lived for over 25 years. 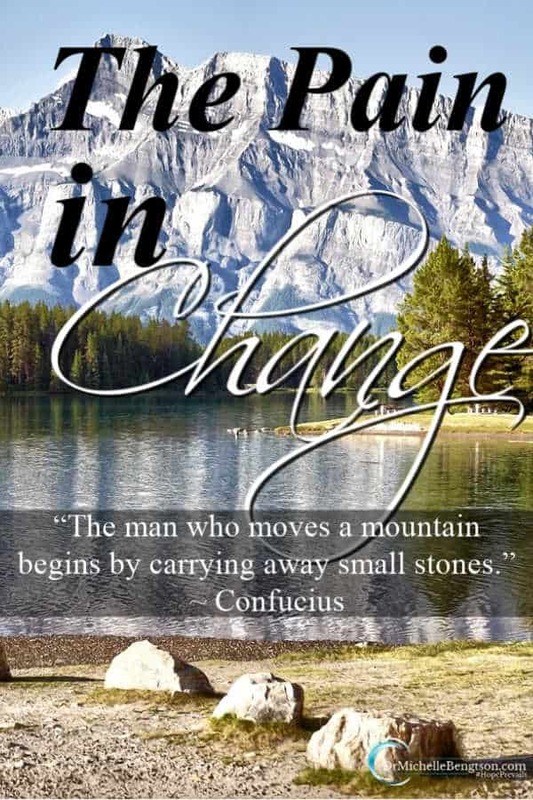 In 1992 we let go of the old secure stable (what we had done for most of our life) and embraced the new when we went into full time ministry with a helps ministry. For 5 years that was our life and then Father told us it was time to let go of that season and embrace a new season of ministry and that is how it has been until today where we are waiting for another new season to begin. Each one has been new and exciting and BUT GOD so we know this new one will be the same. Thank you for sharing these 4 steps for they just affirm our life in Christ. Love and appreciate you so much!! I’m not very good at waiting :/, but because I know he is faithful, it’s getting easier! I’m your neighbor several places this morning. Wishing you a wonderful day! Thank you for your good advice! 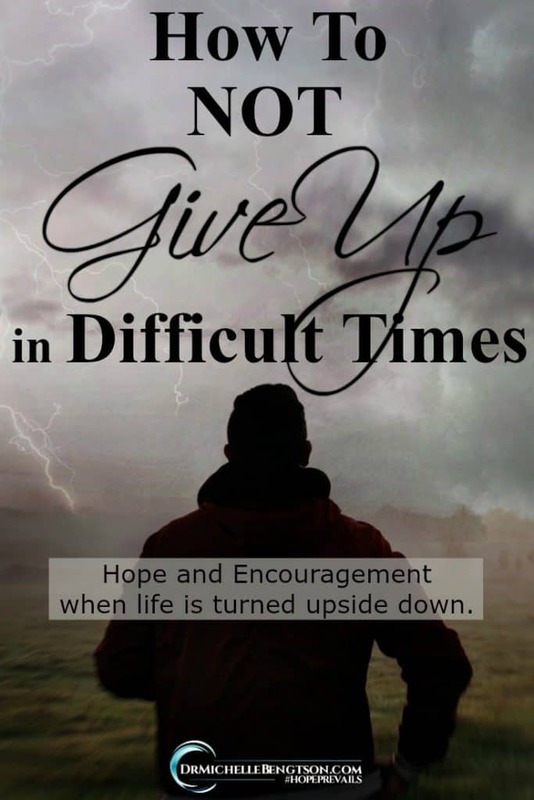 I especially need help with this one; “Surrender to God’s greater purpose”. I feel the need to be in control most of the time, but I am learning. Thanks for the gentle nudge in that direction. Laurie, believe me, it doesn’t come easy to me either. But I’ve learned through several very difficult life circumstances when I couldn’t be in control, that control is often an illusion anyway. When I surrender it, I no longer feel the stressful tug of war. Amen, Michelle! “Let go and fly free.” Hallelujah! Karen, the best way I’ve found to fly free is to live in quick obedience to Him. May it always be. Transformation ain’t for the faint of heart! So thankful God carries me through! Blessings! Liz, boy you’ve got that right. But I look back on my life and I’m so grateful I’m not where I was 20, 10, 5 or even one year ago. Transformation has made me a better person, and helped me to appreciate God so much more. Oh yes, Patsy, sometimes waiting is the hardest part. But if I’ve learned anything (and still have to remind myself), it’s that God is never late and never early, but always right on time.